Reimbursement for Mileage: How Can it Possibly be in Dispute? Under the law in Nevada, any injured worker who traveled to an authorized doctor’s office either 1) more than twenty (20) miles one way, or 2) for a total of forty (40) miles or more during a week period shall be reimbursed for the mileage. See NAC 616C.150. That reimbursement rate is the same rate the IRS sets for mileage reimbursement for that particular year (for 2016 it is 54 cents per mile). In order to be reimbursed, injured workers must use the mileage reimbursement form provided by the adjuster (or attorney if you hire one) and submit within sixty (60) days of each trip that qualifies under the law. This seems very straightforward, but as with many areas of workers’ compensation, it is not. One issue that comes up is that the injured worker’s claim is originally denied and then gets overturned by the Hearing Officer. Unless the injured worker submitted the mileage reimbursement form, even though their claim was originally denied, they may or may not be reimbursed. The biggest issue is the route taken by the injured worker. 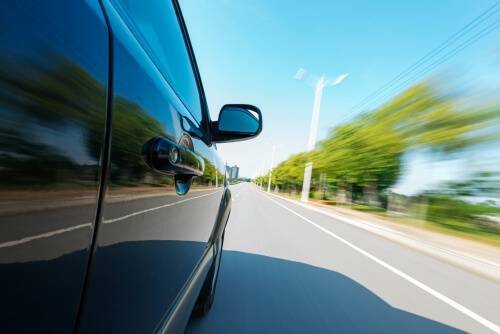 The Insurer may outright deny your mileage request – despite it being within the statutory requirements – based on some random internet map that gives alternative directions using a shorter route. This is despite the fact the Insurer did not give specific directions to the injured worker beforehand (i.e. you must take the route we are using so we do not have to pay you mileage), nor did the Insurer specify that the injured worker should/should not take the freeway. For those of you that live in Las Vegas, this argument by the Insurer to deny mileage would be akin to the injured worker taking Decatur instead of Jones, resulting in a minimal difference that potentially would remove you from the mileage requirements under the law. If you think this argument is splitting hairs, petty, or downright cheap, you certainly are not alone. To speak with a Nevada workers’ compensation attorney at Shook & Stone about your case, please fill out an online contact form and we will be in touch with you shortly.